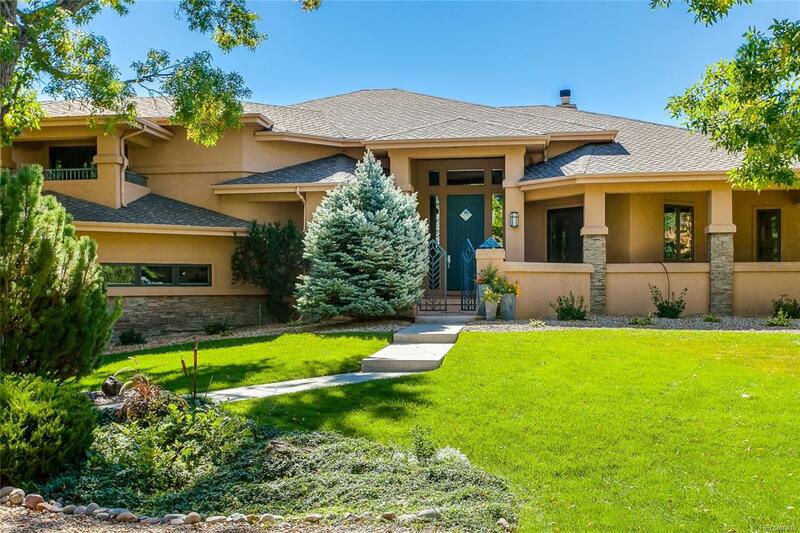 Custom inspired Frank Lloyd Wright Prairie home in the gated community of The Polo Reserve situated on a private park-like setting. Sun filled open and spacious floor plan, main floor master retreat, beautiful great room with incredible indoor and outdoor living, and a gourmet kitchen with attached hearth room. Lower level perfect for entertaining complete with wet bar and exercise room. Upstairs oasis w/ private balcony and sitting room. All bedrooms have en-suite baths. South facing lot is covered under a canopy of mature trees providing lush privacy even throughout the winter months. Offering easy access to the South Platte River Trail system and the impressive Polo Fields for the outdoor enthusiasts.